Lafayette Instrument Company is privileged to be a supplier of instrumentation for the Fire Service Joint Labor Management Wellness-Fitness Initiative. A great number of fire departments have implemented the IAFF Fitness Protocol as a means to protect the health and well being of your fellow fire fighters. To make it easy for your department to purchase the required instrumentation, we now supply all of the products necessary to meet the protocol requirements. Lafayette Instrument Company is pleased to support this important program and welcome any of your inquiries about our products. For more information, please visit our exhibit booth at this year's FDIC and IAFC conferences. Contact us about our DISCOUNTS for Fire Departments! Baseline sit and reach trunk flexibility test. Scales printed in inches and centimeters. 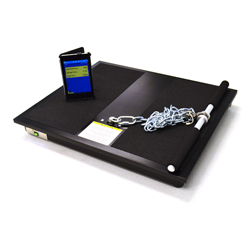 The system is designed to meet the needs of Jackson lift, torso and pull strength test protocols and the lift tasks of the National Institute of Occupational Safety and Health (NIOSH). 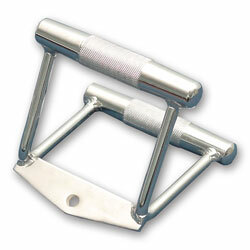 Handlebar for use with Model 32628 and 32728 Jackson Strength Evaluation Systems. 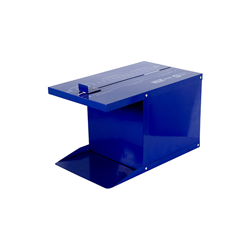 Designed for both routine screening and for evaluation of hand trauma or diseased hands. 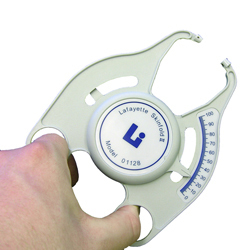 Lafayette's next generation hand dynamometer features accuracy within 1%. 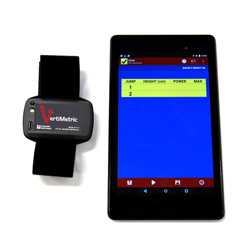 The VertiMetric uses an accelerometer that is connected to a tablet to score and save jump sequences. Kit includes VertiMetric and Android tablet. 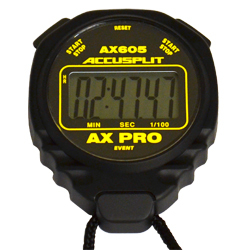 This stopwatch is great for event timing. Its large digits and Left-Right button navigation are easily leveraged for quick viewing and precise control. 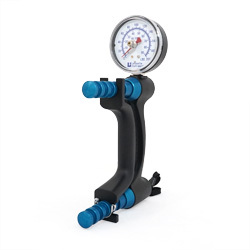 Our Skinfold Caliper provides precise measurement at an affordable price. The 0-100 mm scale sets this instrument apart from other clinical calipers on the market. 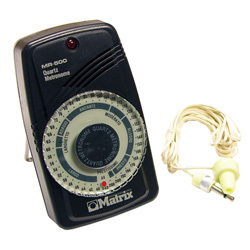 This battery-powered metronome has a tempo range of 40-208 beats per minute. Submit a simple form email and we’ll respond promptly.